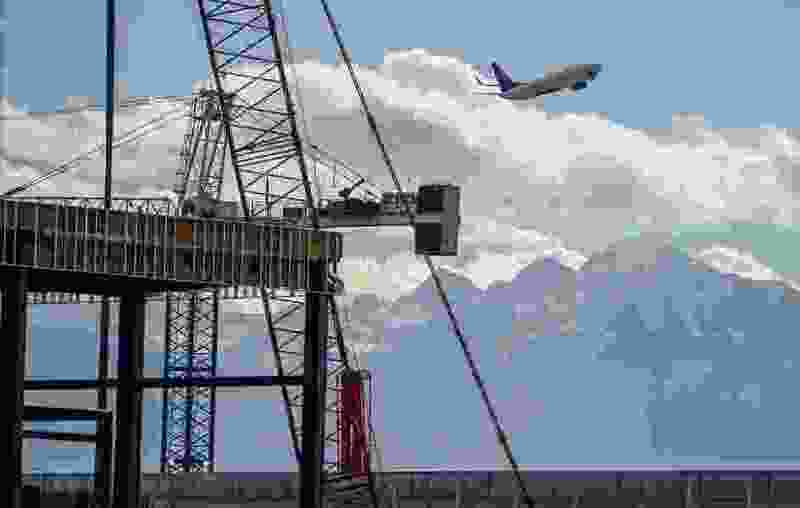 Leah Hogsten | The Salt Lake Tribune The new Salt Lake City International Airport expansion project, Monday, Oct. 22, 2018. The first phase construction of the $3.6 billion project is due to open in 700 days. Nearing completion is the new concourse for aircraft gates, an enclosed terminal, the steel skeleton of a new "gateway" building, a five-story parking garage and elevated roadways. A construction worker who fell 40 feet down an elevator shaft at Salt Lake International Airport has died, airport officials confirmed Sunday. The man, 50, was working with the company Holder-Big D Joint Venture on Wednesday when he fell. The airport is being rebuilt as part of a massive $3.6 billion expansion.